Deep Sleep: Also referred to as stage four, this is when the brain produces delta waves. This stage is when the body boosts immune function, begins to build up energy for the next day, and repairs muscle and stimulates growth. REM Sleep: REM sleep is the stage that people are most familiar with and is associated with dreaming. Aside from dreaming, REM allows the mind to process and put together everything that it’s seen and experienced that day. With children and infants, this is a lot of information, so you can see how important this stage is. When the average person sleeps, they shift between these two stages between five to six times per night, roughly going into REM sleep every 90 minutes and staying there for an hour. For children, there can be even more shifts as they get their recommended sleep per night. Unfortunately, sometimes it can be difficult to get your kids to settle down for sleep, which can lead to cranky and irritable children and cranky and irritable adults. Here are three quick tips on how to ensure your kids get a great night’s sleep. Don’t Skimp on the Mattress – Your child is going to spend over half of their life on the mattress you choose. If the mattress isn’t comfortable, your child isn’t going to get a good night’s sleep. 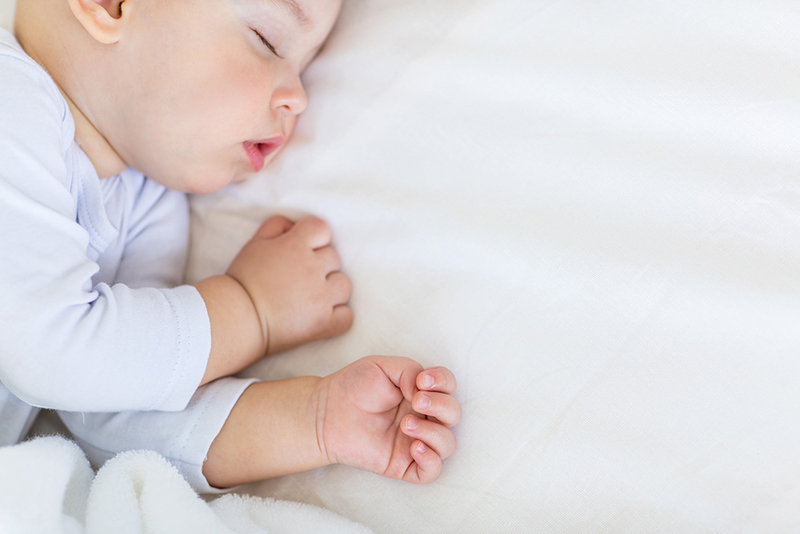 To get even more life out of your mattress, look for ones that can double as both an infant and a toddler mattress, like ones by Moonlight Slumber. As for how much sleep is needed Newborns will spend 11 to 19 hours per day sleeping, and even preschoolers should get between 8 to 14 hours per night. Keep it Dark When it’s Bedtime – When your baby is first born, they don’t really have a set sleep schedule. It’s up to you to help them know when they should be sleeping and when they should be awake. Keep the room as dark as possible during naptimes. If your baby wakes up in the middle of the night for a feeding, install a dimmer switch so you can keep things relaxed. Set a Bedtime Routine – Babies and toddlers thrive on routines. A consistent bedtime routine will help your child understand when it is bedtime and time to fall asleep. A routine might consist of a bath, followed by a swaddle and a story. Whatever the routine is that you choose, make sure that you follow it exactly and as consistently as possible to help them sleep. Try Dream Feeding – Dream feeding is when you feed your infant just before you go to bed at around 10 or 11. It’s called dream feeding because in most cases, your child won’t fully wake up. You’ll feed them and put them back to bed without fully interrupting their sleep cycles. According to Dr. Harvey Carp, this feeding is better for sleep routines because it doesn’t reward your child for waking up and crying, removing that association. Additionally, you’ll get more sleep as well. When you dream feed, make sure that you’re as peaceful as possible. You want your baby to be relaxed, not think it’s time to wake up and play. Of course, your kids aren’t the only ones who need a good night’s sleep. If you’re struggling with sleep, there are plenty of quality tips out there to help ensure that you get the quality REM and deep sleep that you need. Some of these are very similar, such as creating a routine and checking your mattress, and some are just for the adults, like making sure you don’t drink alcohol just before bed. With these tips, you and your baby won’t just be sleeping more, you’ll enjoy a better quality of sleep. How Can One Become A Good Wife?